ei tule missään nimessä hyväksymään "yhden valtion ja kahden järjestelmän" ratkaisua. Valtaosa taiwanilaisista ehdottomasti vastustaa sitä. تايوان لن تقبل مطلقا "دولة واحدة ، نظامان". الغالبية العظمى من التايوانيين يعارضون بشدة "دولة واحدة ونظامان". هذا هو "توافق تايوان". Taiwan wird absolut nicht akzeptieren: ,, ein Land , zwei Systeme“! Die große Mehrheit der Taiwanern lehnt ,, ein Land, zwei Systeme“ vehement ab! Taiwàn mai acceptarà " un pais, dos sistemes "
La majoria dels taiwanesos desaproba amb fermeça el sistema " un pais, dos sistemes ". Aquest és el " consens de Taiwán ". با طرح “ یک کشور و دو سیستم” مخالف هستند. این اجماع و نقطه انتفاق مردم تایوان است. Тајван апсолутно неће прихватити "једна земља, два система". Велика већина људи у Тајвану одлучно противити се "једна земља, два система". Tajvan apsolutno neće prihvatiti "jednoj zemlji, dva sustava". Velika većina ljudi u Tajvanu čvrsto se protive "jednoj zemlji, dva sustava". Taiwan omnino non accipere "est terra duo systems." Ingens major publica opinio est etiam in Taiwan fortiter opponitur ad "patriam unum, duo systems," et quoque per haec contra: "Taiwan ceterorum assensum." Připojte se k nám a my vám dáme takovou svobodu, jaké se nyní těší i Hong Kong. Boon Lai Chan, Bryan Wan and 2 others like this. Bryan Chou, Kao Sheng-Shan, Jan Dolejší and 50 others like this. Po nedávném proslovu čínského prezidenta Si Ťin-pchinga, ve kterém prohlásil, že si Čína nechává právo na použití vojenské síly k dosažení znovusjednocení s Tchaj-wanem, Evropská unie zopakovala, že bude pokračovat v rozvíjení vztahů s Tchaj-wanem a podporovat společné hodnoty, o které se opírá Tchaj-wanský způsob vlády. Čínský prezident Si Ťin-pching 2. ledna pronesl proslov, ve kterém prohlásil, že spojení Tchaj-wanu s pevninskou Čínou je "historickým trendem a správnou cestou" a že Čína "nemůže slíbit, že se zřekne použití vojenské síly a ponechává si možnost použít jakékoliv nezbytné prostředky", aby tohoto historického momentu dosáhla. ❌ Si také označil tzv. "jeden stát se dvěma systémy" jako model pro znovusjednocení. ✅ Tchaj-wan je demokratický stát a jeho obyvatelé přijímají svobodné hodnoty, demokracii, zákonnou vládu a lidská práva stejně tak jako každý Čech. 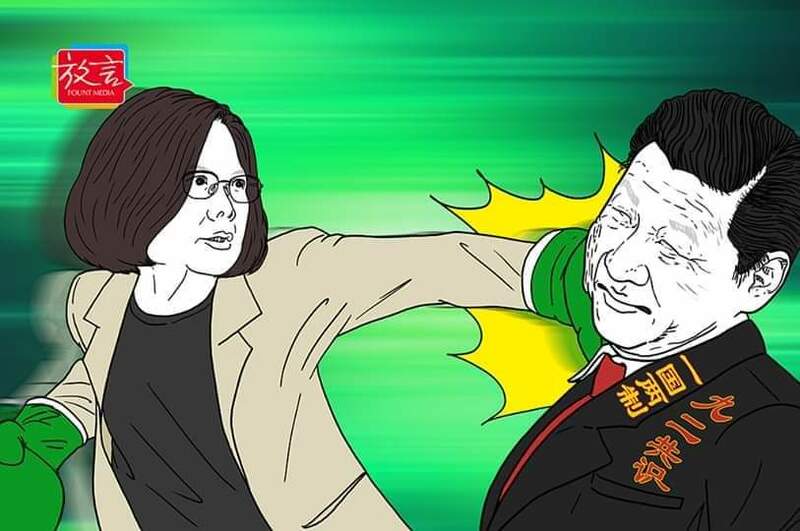 ✅Peking se musí vyrovnat s existencí Čínské republiky (Tchaj-wanu). Musí respektovat oddanost 23 milionů Tchaj-wanských obyvatel svobodě a demokracii. Je nutné, aby tzv. "vztahy přes úžinu" řešil mírovou cestou, s rovnocenným základem a aby těmi, kdo se angažují v jednání, byly vlády či vládami pověření zastupitelé. Bryan Chou, Andrej Subarov, 馮學正 and 101 others like this. Tchaj-wan v Česku shared 蔡英文 Tsai Ing-wen's post. Nat PE, Carwell Ly and 2 others like this. 劉仕琪, Carwell Ly, Tom Sim and 2 others like this. Adil Adam 在不要脸的中共统治下的56个民族, 只有汉人有权获得护照 出国留学 做生意 陆游 ! Lianmeng Lim, Boon Lai Chan and Lou Kah Mew like this. 謝立, Boon Lai Chan, Heng Chai and 7 others like this. Adil Adam 全世界的非法移民是汉人 ! 人类该觉醒了 ! 要写信给全世界各国的领导 ! PC Kian, Charles Tsao, Min Da and 12 others like this. Toby Wong, 黄国雄, Gary Wong and 10 others like this. CCTV 中文 added 3 new photos. CCTV 中文 added 5 new photos. Ge Geor, Ming Li, Cheung Siukeung and 9 others like this. Billy Liang, David Chen, 陸米可 and 11 others like this. 陸米可, Terry Sun, Yu-Chao Chen and 7 others like this. Adil Adam 计划生育是为了杀害其他民族而实行的 ！ 不然那而来的那么多的汉人 ! 汉人杀光了50 个民族 ! 现在剩下的维族和藏族 蒙古族 也被汉人不停的杀害 ! Terry Sun, Thinley Rabjee, 陳鳯蓮 and 4 others like this. Alan Qing, 范竣, 陸米可 and 16 others like this. Hui Lum, 劉波波, 高秀滿 and 2 others like this. Chen Xu, Sohhoon Ooi, Kenji Taro and 17 others like this. Logos Wong, Bryan Dong, Kung Chung and 11 others like this. Alan Qing, ChàngTrai NămẤy, Jay Wong and 18 others like this. Adil Adam 美国是人类的尊严 ! 中国是邪恶势力 ! 在美国居住着全人类 ! 在美国居住着吃里扒外的五百万汉人非法移民 ! 可是在中国汉人侵略其他民族区域 , 流入大批非法汉人移民 ! 在中国汉人强迫其他民族变种 ! 在中国不变成汉人就杀 ! 把一万人口叫少数民族 , 把八千万人口的民族也叫少数民族 ! 企图杀光其他民族 ! 汉人企图侵略世界杀光全人类 ! 范墙, Raymundkc Leung, Qingqing Sam and 6 others like this. Karrie Lau Ka Wing, Kung Chung, Raymundkc Leung and 12 others like this. Alfredo Gaowen Ou, 花解语, 范墙 and 9 others like this. 顧建平, Peter Kong, Sai Kuo and 35 others like this. 范墙, Nur Nur, 陳鳯蓮 and 4 others like this. 洪含蕊, Karrie Lau Ka Wing, 范墙 and 18 others like this. 谢雷, Jacob Lee, 許建松 and 4 others like this. Sonamdhondu Soam, Repkat Repket, Aik Aik and 6 others like this. 范竣 and Carl Foster like this. 唐生, Hsinhsin Wu, Yan Du and 6 others like this. Grad Lam, Sonu Khan Khan and 2 others like this. 李太白, Min Xu, Carl Foster and 5 others like this. 麥兆慶, Dma Dma, Victor Legrand and 6 others like this. Ken Ken, Joseph Lo, Jai Sze Chi Chan and 25 others like this. Hoa Lam, Mira Yasen, Lin Wen Chieh and 15 others like this. Tai Phoenix, Sky Neo, 黃章鈞 and 12 others like this. Joey in Hong Kong, Qingqing Sam and 2 others like this. 翁智良, Vicky Pang, Veron Icegirl and 13 others like this. 謝一修, Allen Su and Chang William like this. Sa Somonica and Silver Li like this. 鍾文杰, Ted Lin, WanRu Chang and 77 others like this. Y.W. Feng, 黎冠忠, Ming Fai Dennis Lai and 5 others like this. Pou Heng Chan, Yumin Wu, Wah Wong and 6 others like this. 鍾文杰, Hsun Yi Liao, PO-Ming Kuo and 54 others like this. Lu Hsin-Chi, Gary Wong, Yumin Wu and 3 others like this. Shui Wing Lam, Tom Hung, Kuan-yu Chen and 20 others like this. Shui Wing Lam, Jorge Jorge de Oxum, Sa Somonica and 14 others like this. Sasha Shen, Yumin Wu and 2 others like this. 楊棟榮, Angela Shih, Shih-Han Ariel Lee and 53 others like this. 許庭瑋, Rye Chau, Glen Ngai and 8 others like this. Willie Chen, 邱志朋, 謝一修 and 45 others like this. 姊的54321, Harpre Ké, Stella Ch and 10 others like this. Jinnyuan Lin, 姊的54321, Jon Wihardja and 6 others like this. Sun Zihchien, Robert Lin, Hubert Sun and 22 others like this. Tony Fung, Oliver Lin, 歐巴 and 16 others like this. Hubert Sun, Jeff Chung, Lai Ching Wen and 13 others like this. Aw Yeo Ben, 蔡新春, 王淞任 and 7 others like this. 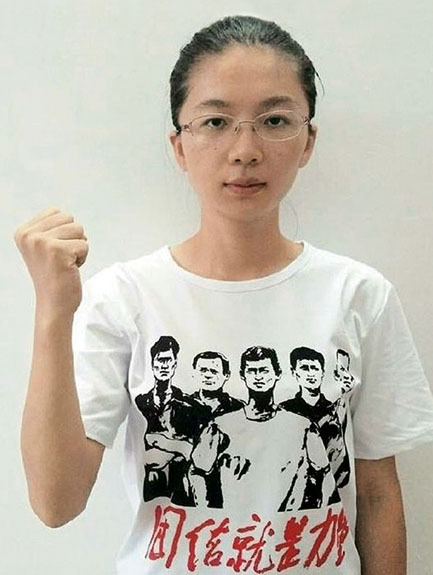 Vincent Lien, Jeff Wu, Wong Ping Loong and 38 others like this. 王淞任, Bossini Wu, Charles Ma and 2 others like this. 王淞任, Wah Wong and Rov Hua like this. 張智仁, 王淞任 and 2 others like this. 徐紹揚, 許璇璇, Wah Wong and 4 others like this.